Summer in Texas can be dry and scorching, which means your air conditioning system in your home or office needs to be efficient and reliable. Energy efficiency starts with your thermostat, and finding the best thermostat settings for summer can help keep you cool while conserving energy and saving you money. At Boerne Air Conditioning Experts, we always suggest that our customers considering installing a programmable thermostat, because it helps to maximize your energy usage. Many feature easy touch-pad programming, where you can set the thermostat to automatically change several times throughout the day. They also may offer “hold” settings, to adjust or turn off your cooling or heating while you are away from the house or even on vacation. With a standard thermostat, you have to remember to manually change the temperature every time you leave the house. Programmable thermostats allow you to set different temperatures throughout the day, based on factors like the time of day, when you're home, and when the house is empty. A programmable, or “smart” thermostat also allows you to set various temperatures throughout the week and then forget about it. It also allows you to begin cooling your home an hour or 30 minutes before you return, ensuring your interior is at a comfortable temperature when you step inside. Smart thermostats are also beneficial, as you can control the temperature apart of the programmed settings via your smartphone or tablet. Many people believe that it's cheaper to keep the house at the same temperature all the time throughout all seasons. Their thought is that it takes more energy to get the house back to a higher temperature than to keep it steady; after years of experience in the industry, our experienced technicians can confidently state that that is not the case. To stay comfortable and save money this summer, the U.S. Department of Energy recommends setting your thermostat to 78 degrees F when you are home. When you’re away from the house, it’s okay to keep your house a little warmer to save a little extra money throughout the summer. Turning your thermostat up 7 to 10 degrees F higher while you are away at work (or any time you're out of the house for more than two hours at a time) can help you save as much as 10 percent on cooling costs. With a programmable thermostat, you can have your thermostat return to 78 degrees before you arrive home to prevent discomfort. You can also set your thermostat a few degrees higher while you’re sleeping, which is a good energy-saving practice. Doing this for eight-hour intervals will significantly scale back your cooling costs. Don’t go overboard on setting high temperatures, however, since an AC—especially an undersized one—will struggle to return to your comfort level if the air temperature gets too warm. While 78 degrees F might seem high, you can also make your air conditioner more effective by preventing warm air from getting into your home and cool air from escaping. To do so, hang up window treatments that block sunlight and prevent heat from entering through your windows. Also, consider limiting the use of appliances that generate heat, like the oven and stove, until after 8pm. In the summer, you can also try to grill outside as much as possible. Ceiling fans can additionally be useful in increasing cooling efficient. 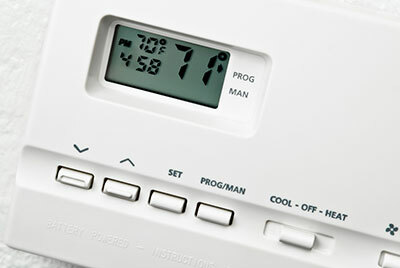 To beat the heat, we also suggest using Override programmed settings on your thermostat as little as possible. Overrides are an option so you can turn down the thermostat if you feel uncomfortable; however, if you consistently override the settings, your energy savings will decrease. Try turning on a fan to cool off before you turn down the thermostat. Staying comfortable while keeping utility costs reasonable in the summer is tricky, but it's not impossible. If you have an older air conditioning system, think about replacing it with a newer, energy-efficient model. 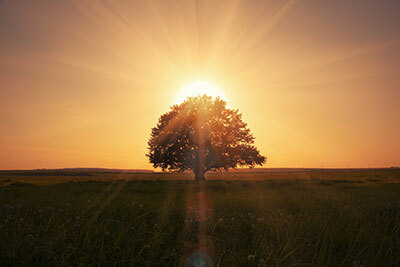 Your saving can also continue once summer has ended and the cool weather has arrived. When it’s winter, set your thermostat to 68 degrees F or cooler while you’re home, and 55 degrees F or cooler at night or while you’re away. Even though Boerne, TX summers are known for being brutally hot, there’s no reason to break the bank trying to stay cool. With the right thermostat and the right service, saving energy can be a snap. When you need expert advice about the best thermostat settings for summer and winter, or anything related to your home’s comfort, give us a call at Boerne Air Conditioning Experts.